We Oblate Sisters are a group of women who strive to attain union with God by offering our lives for the diocesan priesthood. Our special charism is both spiritual and ministerial. Our unique ministry to priests is primarily to pray for priestly holiness and to offer our entire lives for the sanctification of priests. The Sisters support priestly spirituality by providing a League of Priests in which priests periodically gather to pray for their brother priests. 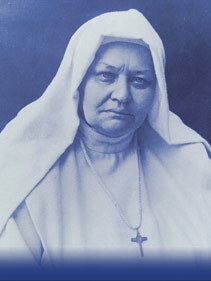 For more information see Ministry to Priests through Prayer. 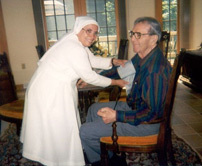 The Oblate Sisters also care for retired and convalescent priests in Priest Retirement Homes. Priests through Priest Retirement Homes. 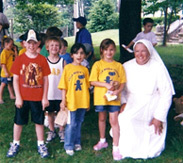 The Oblate Sisters are also Catholic Educators. They teach in Catholic Schools; they also conduct a kindergarten and provide childcare for preschoolers. 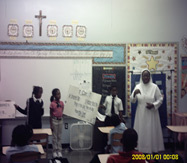 For more information see Ministry to Priests through Education. 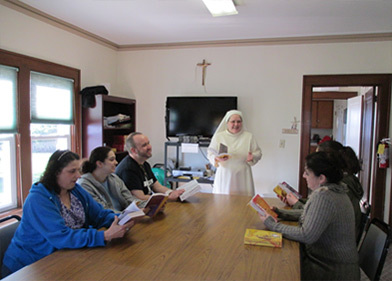 We Oblate Sisters collaborate with diocesan priests in parish ministry which includes teaching at all age levels, directing religious education, hospital visitation, and distribution of the Holy Eucharist to the homebound. 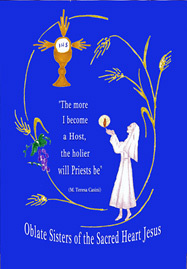 For more information see Ministry with Priests through Parish Ministry.